Thinking about filing for bankruptcy requires careful consideration of the many different elements surrounding your case, but you also need to be familiar with the legal rules of bankruptcy before you file. 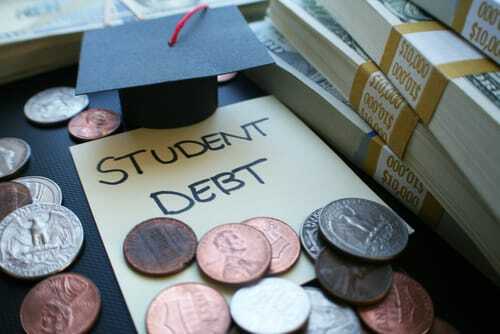 For example, if you have private student loans, there are several things to know; first of all, there are no built-in mechanisms for forbearance and deferment with private student loans as there are with government-backed loans. There are also no income-based repayment plans and there are no discharges for them in bankruptcy. Although these may be seen as negatives for someone who is thinking about filing a bankruptcy case, it is important to realize how the statute of limitations may affect your student loan debts. This means that a creditor who is not being paid has to sue within a certain period or he or she will lose the right to use the legal system to enforce the debt. The statute of limitations, however, doesn’t prevent a debt collector from using any of the usual collection tools. It just means that they will be unable to win in court if you bring up the statute of limitations. Consulting with a bankruptcy lawyer should always be your first decision when thinking about filing for bankruptcy and trying to figure out what to do with your student loans. The period in which the law applies regarding the statute of limitations has to do with the state of the borrower’s residence when sued. The clock starts ticking on the limitations period when the last payment on the debt is made. In order to get beyond the limitations period, the requisite time period must run without payment. Talking to a knowledgeable bankruptcy attorney can help to clarify whether or not you may be eligible to receive some relief from your student loans. While in general, the answer is typically “no”, only a bankruptcy lawyer can give you more information about how you should handle your case specifically and can give you detailed information about what bankruptcy can and cannot do for you. Do you still have questions? Call the Law Office of Joel R. Spivack at 856-861-6203 or fill out our convenient online contact form to set up a consultation today.